These pintle-mounted mounts can be used to arm light carriers such as 4x4 vehicles (fitted or not with ring mount) or light boats, for neutralization, protection and self-defence missions. 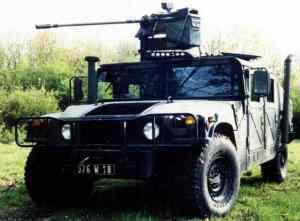 or the externally-powered (24 V electric motor) 30 M 781 cannon featuring the best weight/firepower ratio and firing NATO-standard 30 x 113 mm ammunition. 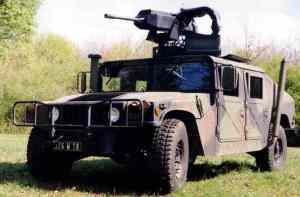 These cannon, with their guaranteed low integration stresses (weight and recoil forces) enable a pintle-mounted fit to the ring mount of the vehicle roof or to the structure. The installation and removal of mounts are fast, easy, require no special tooling, and can be performed in the field. The CP 20 mount can be fitted to a tripod on the ground. There are two CP 20 versions available of which, a version with integrated swivelling ammunition box and a lightweight version with fixed ammunition box - CP 20 and CP 30.